Herzegovina is a country of great natural wonders, rivers rich with water and mix of cultures all living under the same sky! 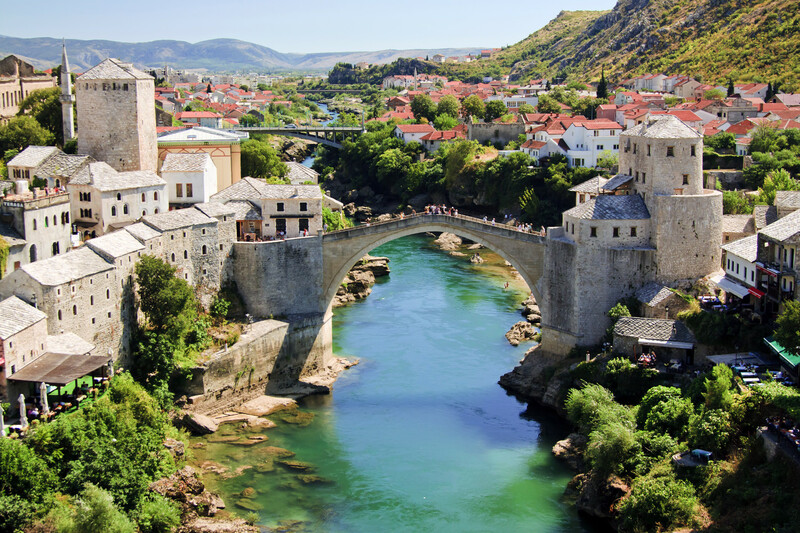 Take the tour with us and get acquainted with the lifestyle of people of Mostar – a city of Muslims and Christians living on a different bank of River Neretva, connected by Old Mostar bridge but devided by river Neretva and strong ideologies deeply embedded in both nations. Medjugorje is a unique phenomenon in the modern world, a sacred place which gathers a multitude of pilgrims from all over the world coming to face a God with great faith and to find peace in their souls and hearts… Today it is one of the biggest prayer centers in the world. Please note: Passport or ID is required.